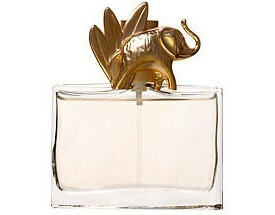 Jungle Elephant by Kenzo is meant to let the animal in you to come roaring out in style. It will have you feel like the Queen of the jungle. Top notes include mandarin, cardamom and carnation, with heart notes of ylang-ylang, liquorice, mango, heliotrope and caraway. Base notes combine patchouli, vanilla and amber. It is recommended for evening wear.